Home apps latest social media Wingman - A Revolution in Dating Apps or a Way to Ruin Friendships? 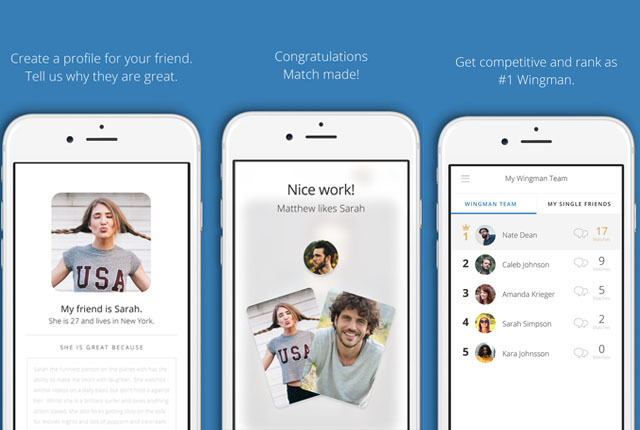 Wingman - A Revolution in Dating Apps or a Way to Ruin Friendships? It seems like developers are still trying to reinvent the dating app wheel. Following the success of Tinder, dozens of other developers have attempted to put their own spin on the approach, with varying levels of success. Whether it's an app that always lets the girl open first, or one that only matches you with people you've walked past, there's always a USP. Wingman, as the name suggests, uses a rather novel one - getting your friends involved. In order to use Wingman, you have to have at least one friend willing to help you search for love. The friend in question will then be asked to list your best qualities and scroll through the subsequent potential matches, forwarding the suitable ones onto you. Just like in, well, there are too many romcoms and sitcom episodes to name just one. It's pretty thorough, making sure that the wingman you select is a friend, rather than someone you might have a more complex history with. Aside from the 'why this person is great' section, the rest of the profile info is pulled from Facebook. The key benefit here is that you're allowing somebody close to you to talk about your best qualities, somebody who might know you better than you know yourself. Filling out dating profiles is awkward, and in the view of many modern apps, unnecessary. Tinder users rarely include more than a sentence or two. Their philosophy is based around liking the look of someone from their pictures, and then opening up a dialogue. That can be risky, and there plenty of horror stories to find online. While it would be very easy to misrepresent a friend by writing them a glowing, exaggerated bio, I'd say it's a much better way to get the sense of someone before deciding to speak with them. Here's the real kicker though, once this friend starts picking partners for you, will you be interested in dating them? Will they have poor taste in potential partners? Do you? It's certainly not without risk, but if you're bored with the current state of play in online dating, it's certainly worth a shot.